Does anyone have a spare tensioner and spring? Ideally with the clip too, but Karl sells replacements of these so I could source a replacement clip if required. Although I am still hopefully that I could find the correct parts for now I have done a home fix. I have used the plastic blocks that are used to bolt together kitchen/bedroom furniture but instead of just the one I have stuck (with a good plastic specific superglue) two together so it will not twist off to one side. So far, so good. So now I have 3 working C5's , two clean(ish) and one needing a good scrub and pair of stripes. If you are still looking, I have two complete chaintensioners, one new, one used, in good shape. 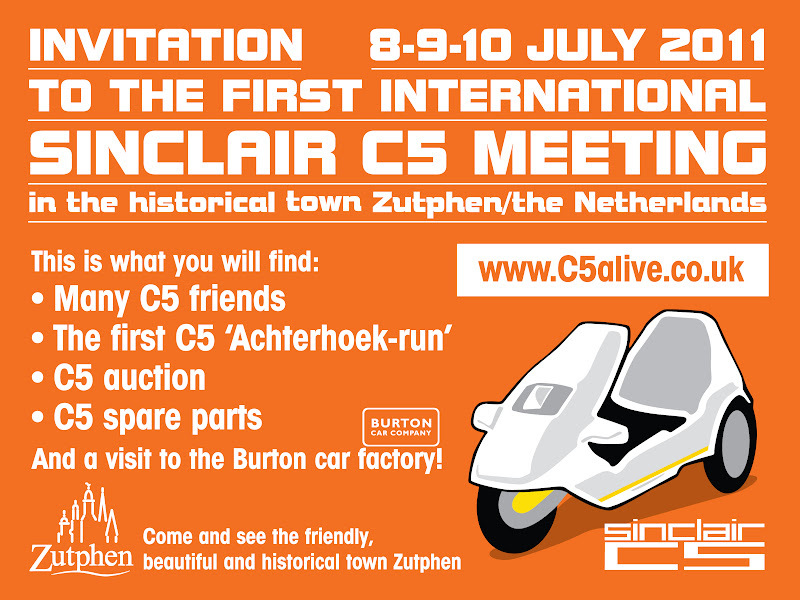 I want to put them in the auction during the International Sinclair meeting in July in Holland. If you can't come maybe someone you know will, and be there to bid for you. Bidding starts at £ 15,- for the used set and £ 20,- for the un-used one.